About Patrick V. Dean, MEd. About Patrick V. Dean, M.Ed. Patrick V. Dean, the Director of Grief Education Services for the Archdiocese of Milwaukee Catholic Cemeteries, is also the Founder and Director of the Wisconsin Grief Education Center, where he has spent 17 years assisting countless individuals and families with their grief journeys. Dean earned a Master's Degree in Education from Cardinal Stritch University and received a certificate in Trauma Counseling from the University of Wisconsin-Milwaukee. 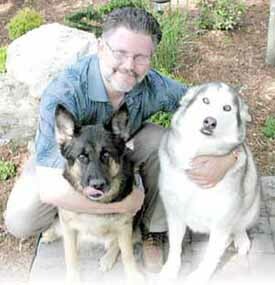 He received national certification in 2004 from the Association for Death Education and Counseling. Dean also is an instructor at Marquette University for the College of Nursing, teaching classes on grief, loss and healing. Other training clients include the Milwaukee Police Department Training Academy, the Boys and Girls Clubs, parishes, hospice, universities and school systems. In conjunction with the Bereavement Ministry of the Archdiocese of Milwaukee, Patrick also works with parishes to help establish grief support teams or to assist in guiding existing groups forward. In his work for the Catholic Cemeteries, Patrick offers the bereaved one-to-one grief education and support in two sessions at no charge for mourners whose deceased loved ones have been entrusted to one of the eight Archdiocesan cemeteries. For a free mental health referral or fee-based grief support services, please contact Dean at the Wisconsin Grief Education Center at 262-534-2904 or online at www.griefwork.com. 1. "the Common Ground of Grief" Series, a monthly grief education presentation offered twice on the 1st Tuesday of most months (see schedule) at San Camillo (10200 W. Bluemound) from 11:00am-12:30pm and again 6:30-8:00pm using Patrick's photographs and teaching skills. Click here for more information. 2. In parallel with the presentation, two monthly grief support group meetings are led by Patrick on the 2nd and 4th Tuesdays of most months (see schedule) at San Camillo from 11:00am-12:30pm. Click here for more information. 3. If you plan to attend the topical presentations on the 1st Tuesdays or the support group meetings on the 2nd and 4th Tuesdays, please email Patrick or leave a message (see contact information below). Thus, if the sessions needs to be cancelled due to weather or illness, you can be notified. I recently had the privilege of attending two presentations by Patrick Dean. They were on grief, mourning and related topics. The sessions were specifically geared for deacons and their wives. I have attended many such presentations. However, without a doubt, Patrick Dean is the finest teacher of this material that I have ever listened to. He is animated, knowledgeable and teaches in an interactive style that adds to the dynamic of the class. I noted that each session I attended was slightly unique as different issues were raised. Patrick easily switched gears in mid-stream to adapt his presentation to the needs of those in attendance. We all came away with a much greater understanding of grief support as well as how to better understand - and minister - to people who have lost someone through death. Wisconsin Grief Education Center, Inc. 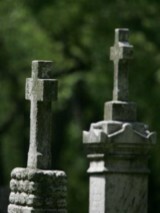 The Catholic Cemeteries, primarily through Patrick Dean, offer grief education and grief support. We are not psychologists, counselors or therapists. These important services of education and support are not intended as a substitute or replacement for counseling or therapy provided by psychologists or related mental health professionals. All good care plans following a significant loss or unexpected tragedy include both a physical and mental health checkup. We recommend that you talk to your family doctor or a professional therapist with questions or concerns you might have. We can not and do not provide any assessment, diagnosis, counseling or treatment for any mental health issues (e.g. depression, thoughts of suicide, etc.) or other points of concern. Please note that our assistance to you and your family is limited in scope and intention to education (via the Common Ground of Grief monthly presentations) and support (monthly support groups at Holy Cross Cemetery and/or two individual support meetings with Patrick Dean). By your attendance at or participation in any of the aforementioned presentations and services, you agree to waive any and all liability and hold harmless in perpetuity the Archdiocese of Milwaukee, the Archdiocesan Catholic Cemeteries, the Wisconsin Grief Education Center, Patrick Dean, their assigns, estates, employees and families.